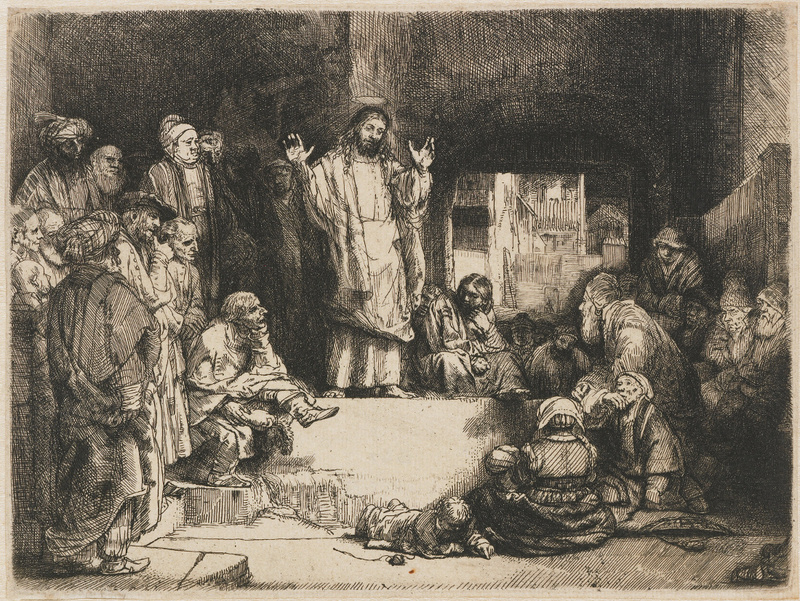 This etching is also known as La petite tombe, because it was once thought that Jesus was standing next to a tomb. 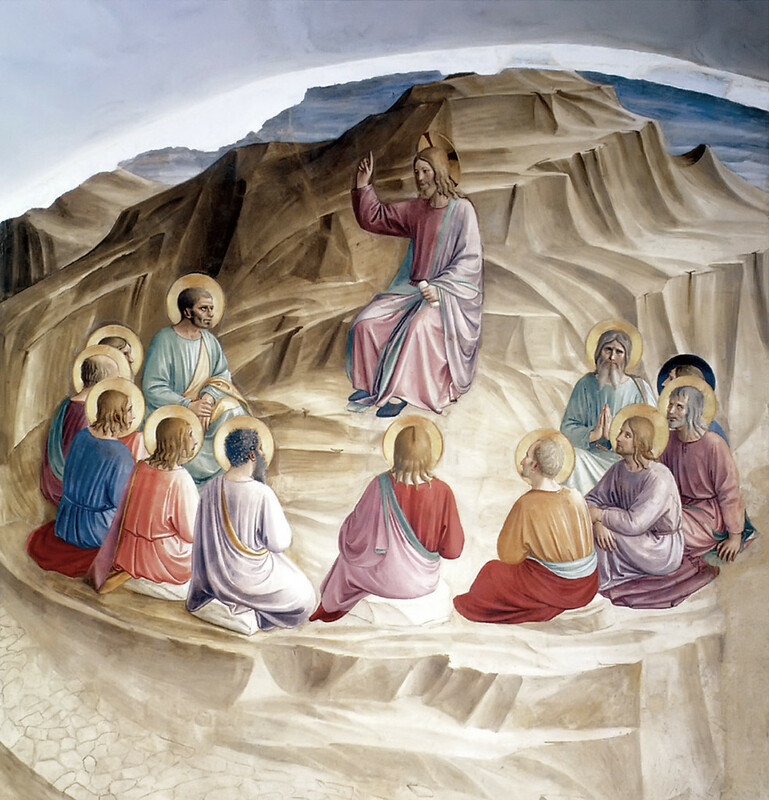 Jesus and his disciples, probably on the Mount of Olives. The one with his eyes closed is John, sunk in thought, or just listening. 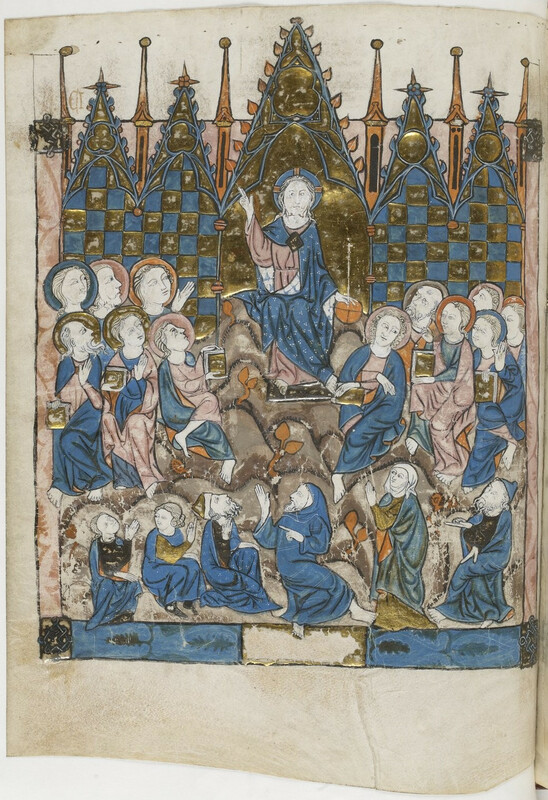 Illumination by an anonymous monk from Montbéliard. A fresco on the northern wall of the Sistine Chapel. It is part of the series on the life of Jesus. In the Sermon on the Mount Jesus handed out the rules that would become the Christian guidelines. Opposite this fresco Rosselli made a fresco where Moses receives the Tables with the Law: the Jewish guidelines. To the right another episode is shown: the healing of a leper. 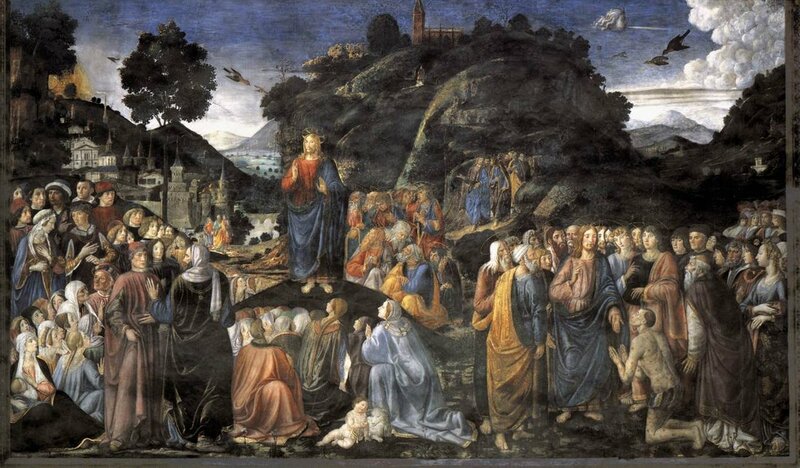 Nicodemus was a Pharisee and a member of the High Council (Sanhedrin) at the time when Jesus was performing miracles. One night he decides to visit him and ask him about his teaching. One of Jesus' replies is that one has to be born again in order to enter God's kingdom. 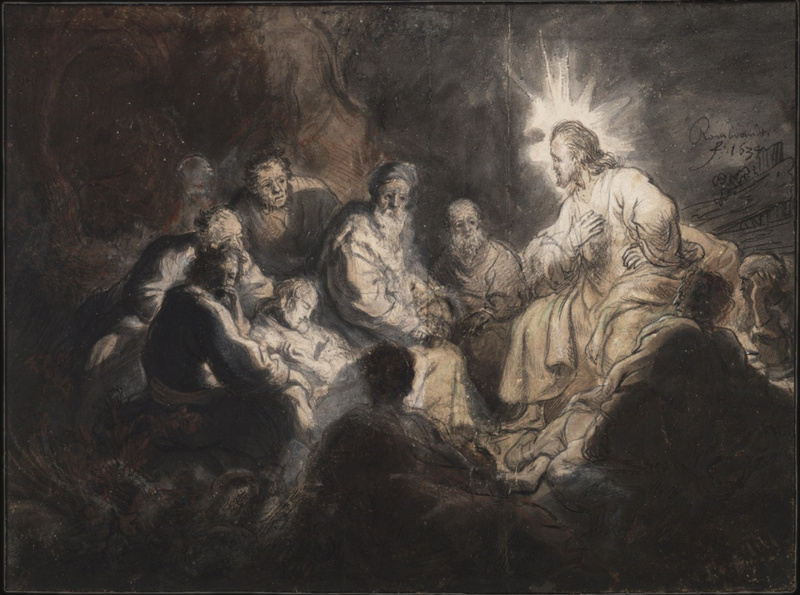 Some experts claim that the drawing shows an entirely different moment: the priest Eli is told that his family is doomed (1 Samuel 2:27-36). 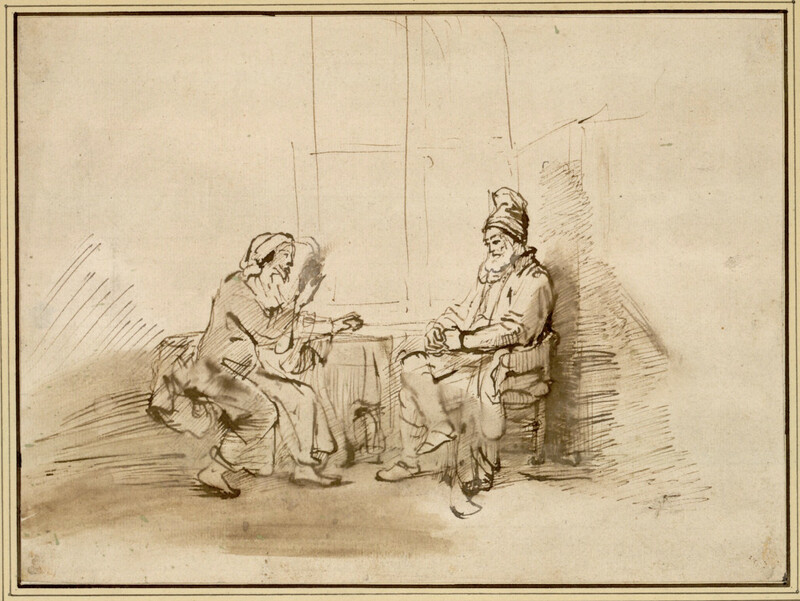 Because of its style, this drawing used to be attributed to Rembrandt. There is however no other evidence to support that claim.